The weather was lovely in the morning. As it so often is in California. Unbelievably I’d forgotten to bring coffee! 😞 So it was Earl Grey tea for breakfast. No worries. 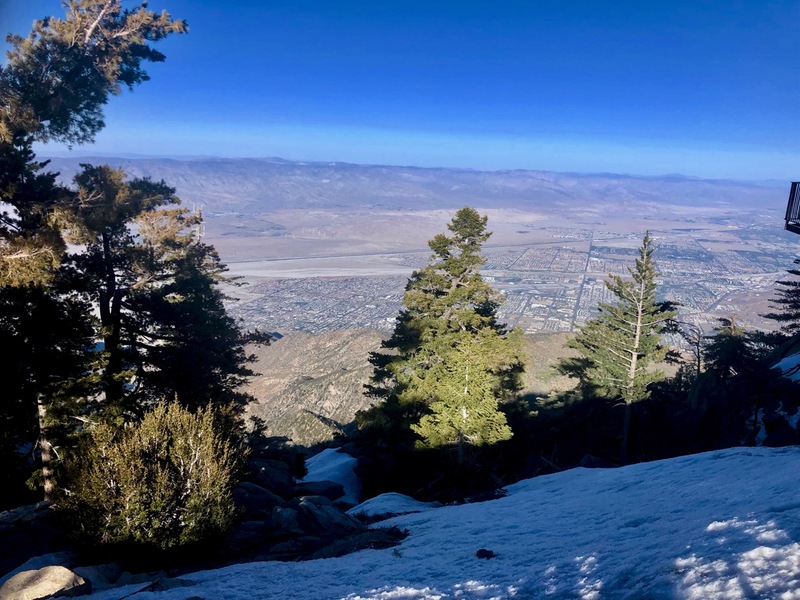 I was headed 2 miles back to the Mountain Station atop Palm Springs Aerial Tramway. They served coffee. Right? … It turned out to be the most expensive java I’d bought outside of Switzerland. This morning the Ranger Station was open and I was happy to go register for my free trail permit. 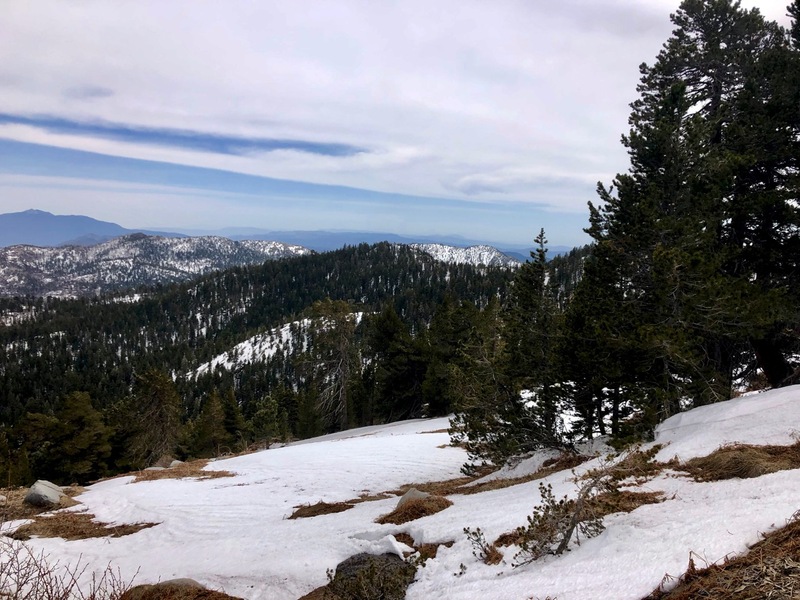 I’d planned to take the most direct route to Idyllwild – Willow Creek trail. 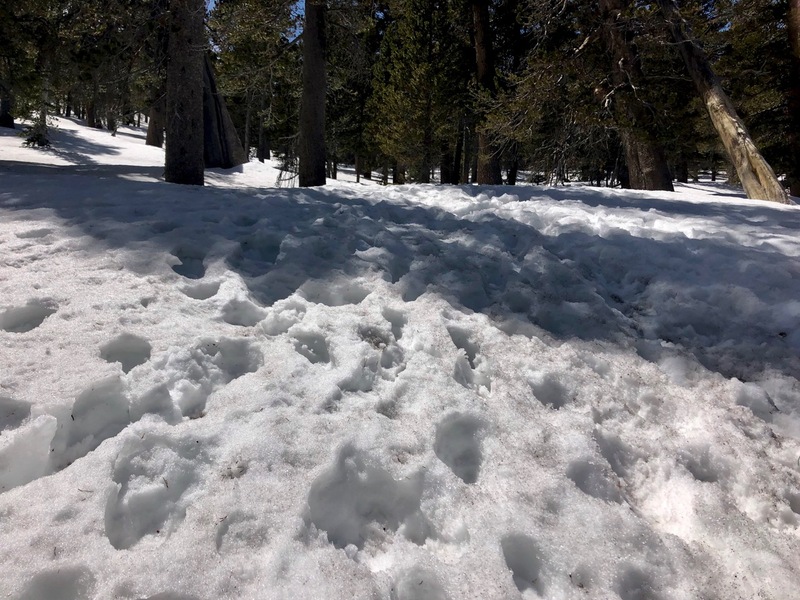 Unfortunately I learned it was still near impassible due to snow. My best bet was to return back the way I came and try to get through the snow to Saddle Junction. Not having spikes or hiking poles I promised to return and take the Tramway down if the snow was too deep. I was using the free Maps.me app for navigation at this point. It’s not all that accurate. 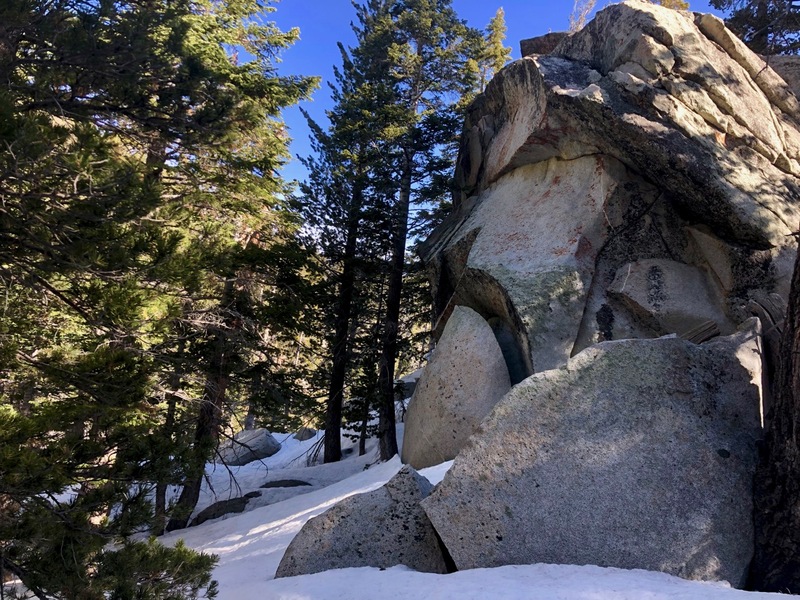 On the upside, this is the most popular trail to climb San Jacinto peak (10,834 ft). Crazies find a way to get up there in all seasons. As it turned out the snow was still hard packed. It was fairly easy to quick step from one footprint to the next. It got easier after Wellman’s Divide. 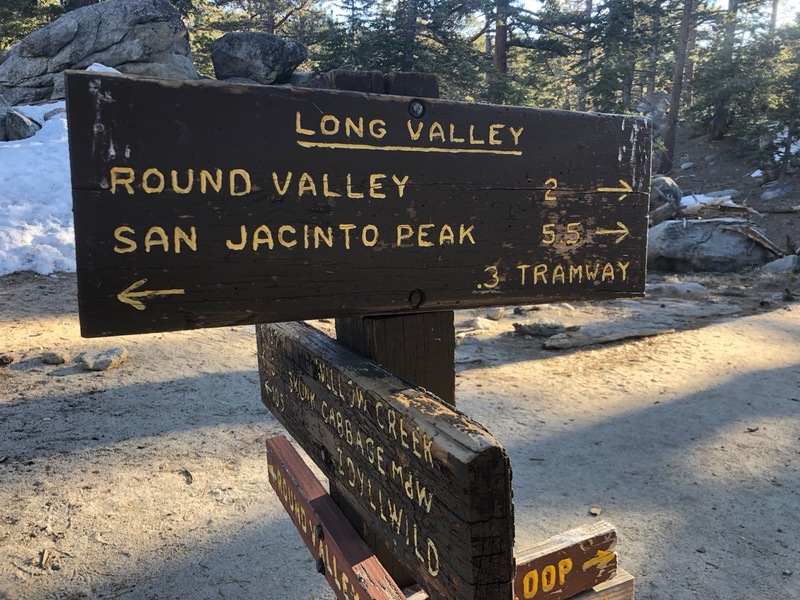 At Saddle Junction I ran into a PCT hiker in a hurry to get to Idyllwild. 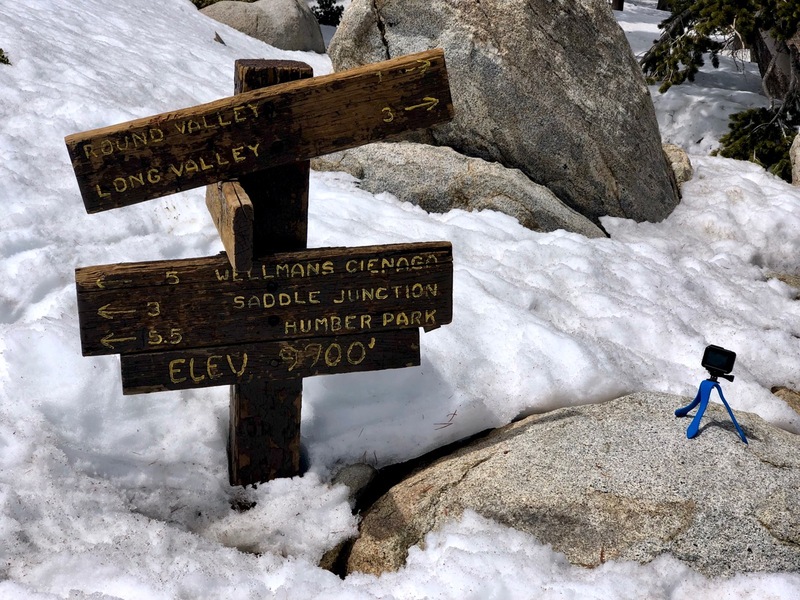 The Saddle is on the Pacific Crest Trail. 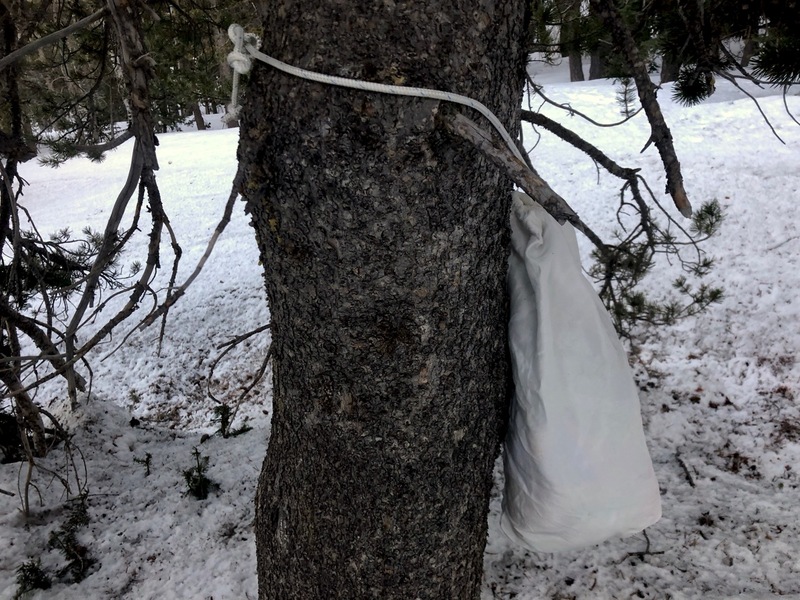 A teenager from Michigan, he had the smallest pack he’d seen so far over the first 10 days. As we descended snow disappeared. 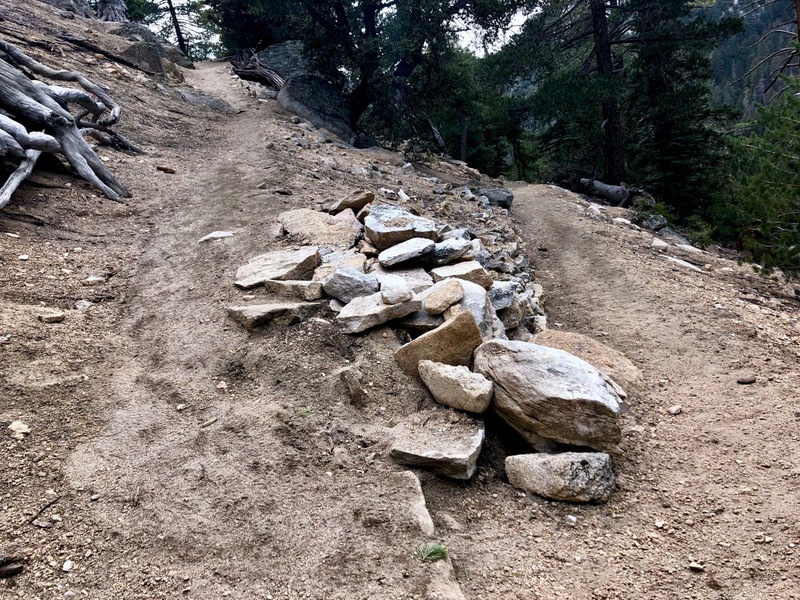 The switchbacks very well graded. 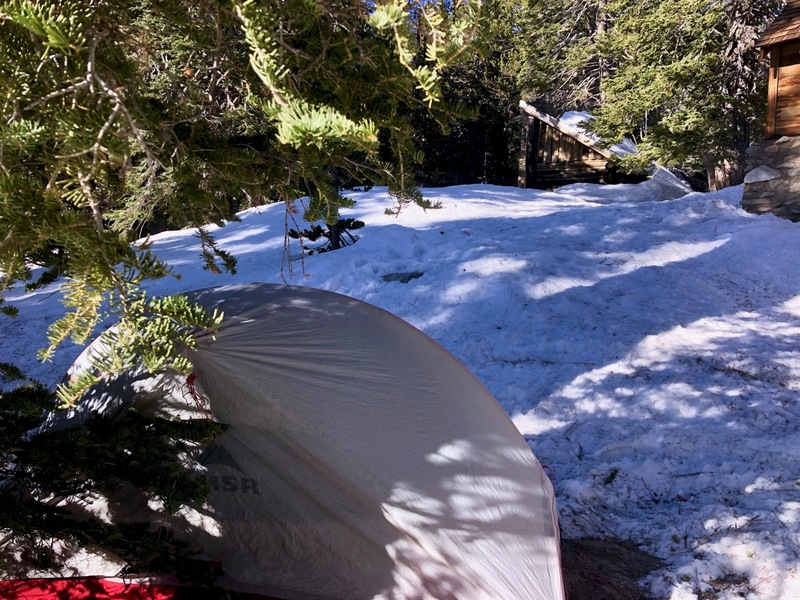 PCT hikers were waiting at the parking lot hoping for a Trail Angel to arrive and deliver them a ride to town. It wasn’t a local Trail Angel but tourists who drove up siteseeing. 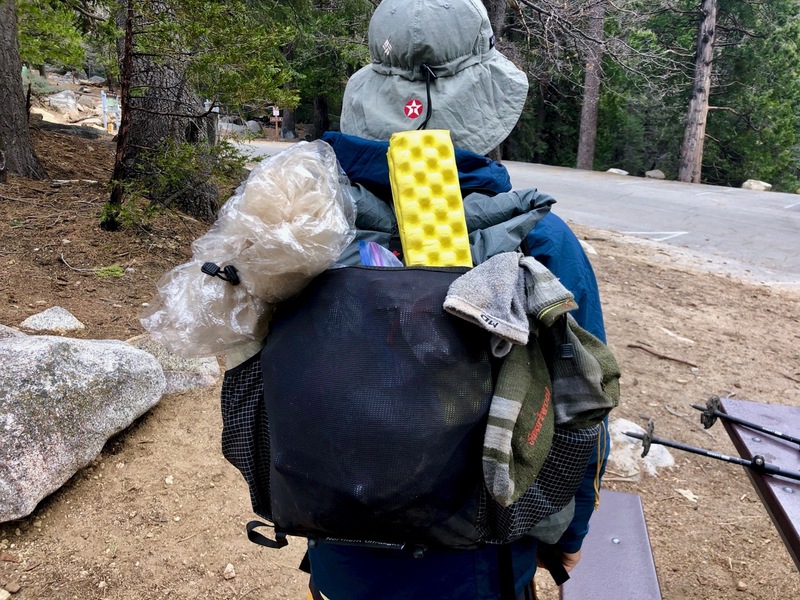 They happily agreed to make 3 trips delivering dirty hikers to the $5 PCT camp site in Idyllwild (pop. 3500). I ordered a LARGE pizza and watched Game 1 of the Calgary Flames playoff series. Fleeing Spring allergies in British Colombia, I flew to Palm Springs. 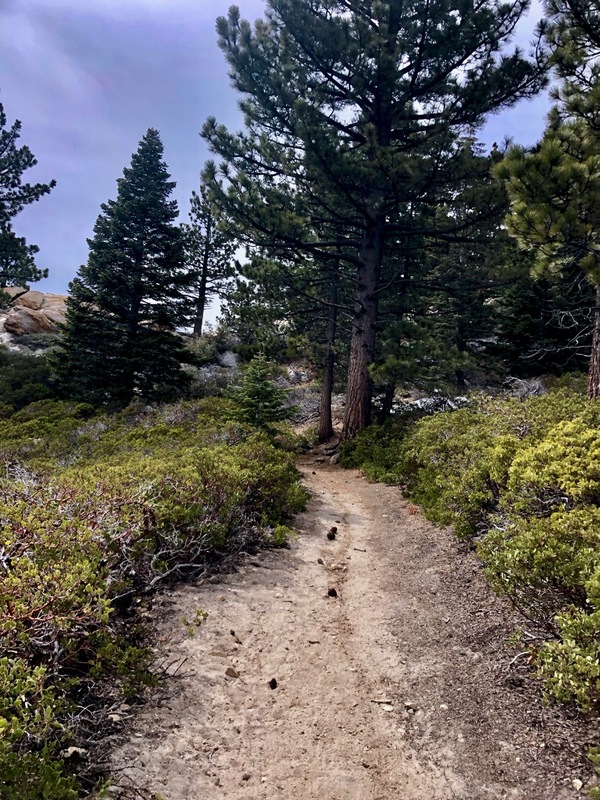 My first choice was something on the Pacific Crest Trail. North to South so I’d meet thru hikers headed the other direction. 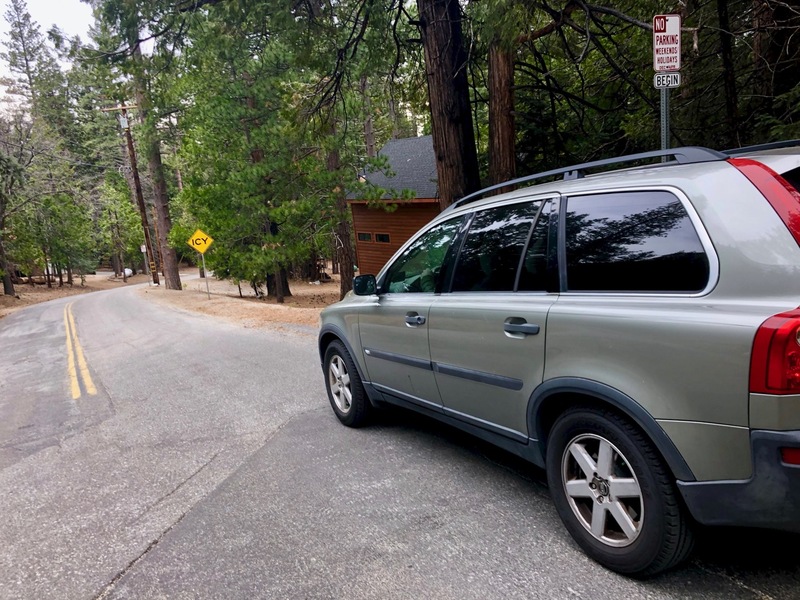 I rented a car at the Palm Springs airport and drove a couple of hours to the famous PCT campground at Warner Springs. 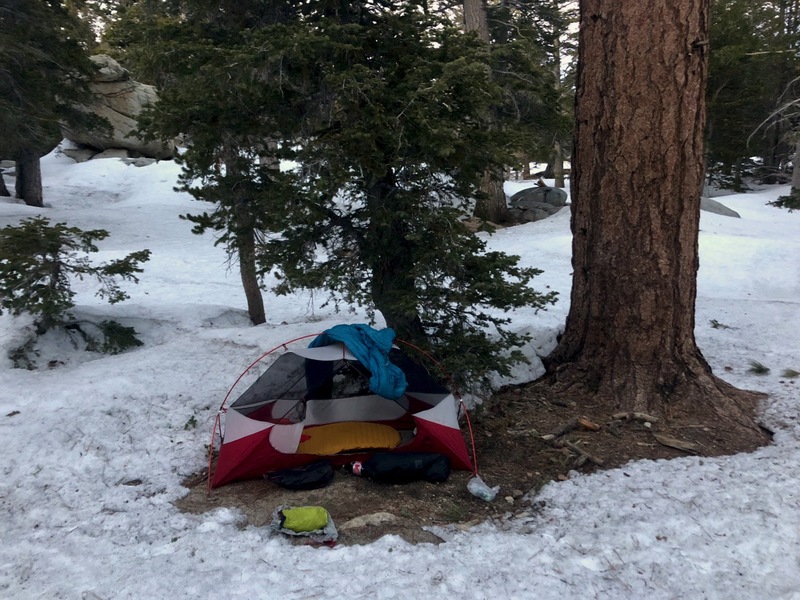 The Warner Springs Resource Center runs this campsite (by donation) as a fundraiser. 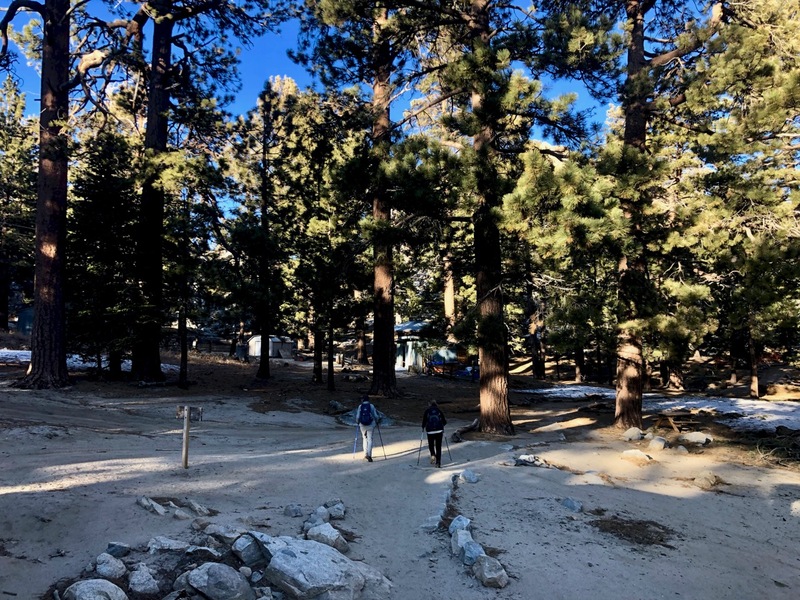 A fellow at the information desk recommended I return the car … then take the Palm Springs Aerial Tramway to start the walk to Idyllwild, one of the most popular towns on the PCT. 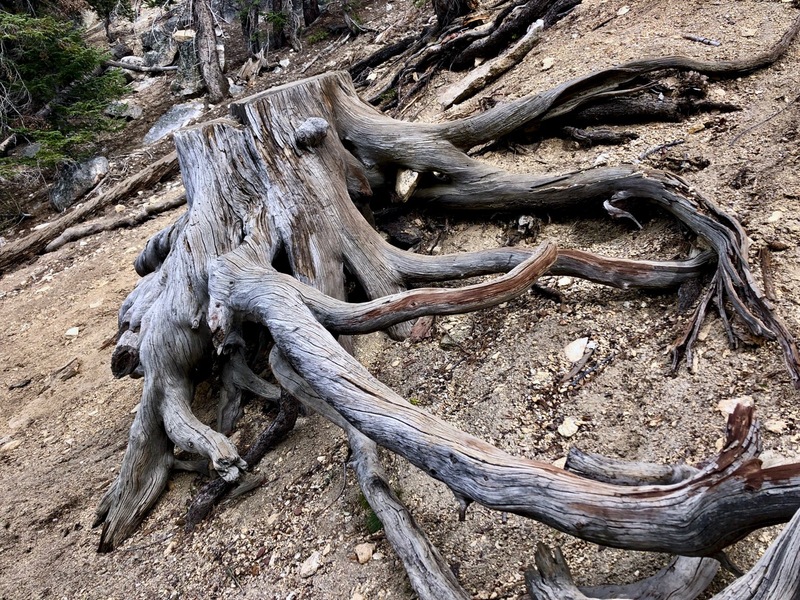 I’d hiked out of Idyllwild in 2011 and loved the area. Sounded GREAT. Perfect. I left a bag at the Resource Center. I’d pick it up when I got there. It was 5pm by the time I got on the Tramway. Late. 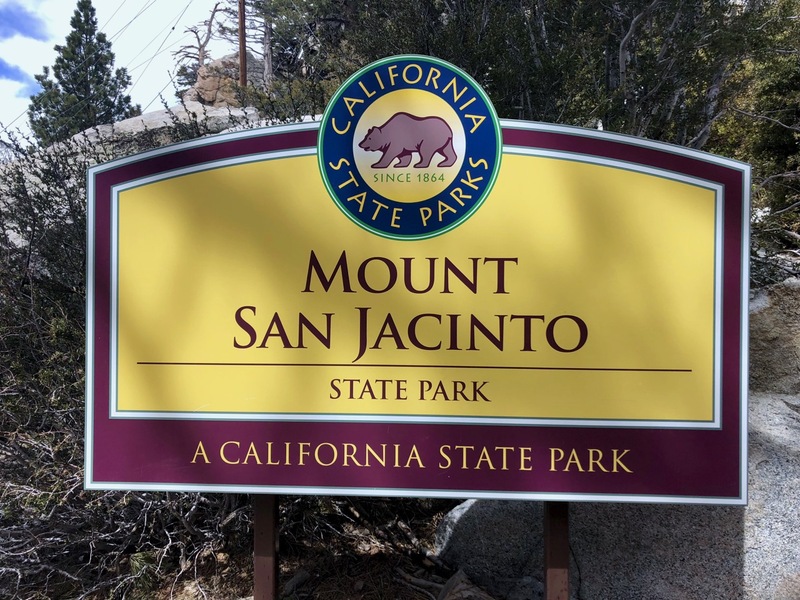 I took time to watch the video on Mount San Jacinto State Park. 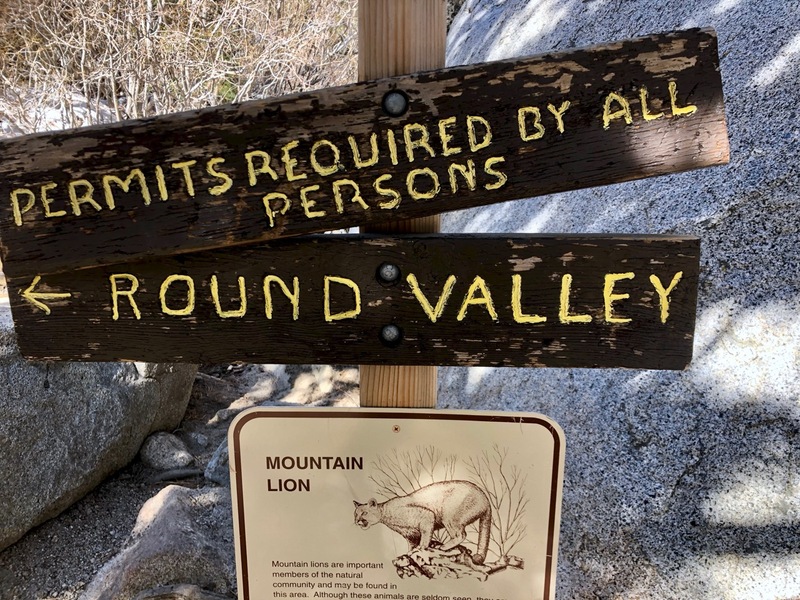 There are more than 50 miles of trails, ideal for hikers trying to escape the Coachella Valley heat 2640 feet below. 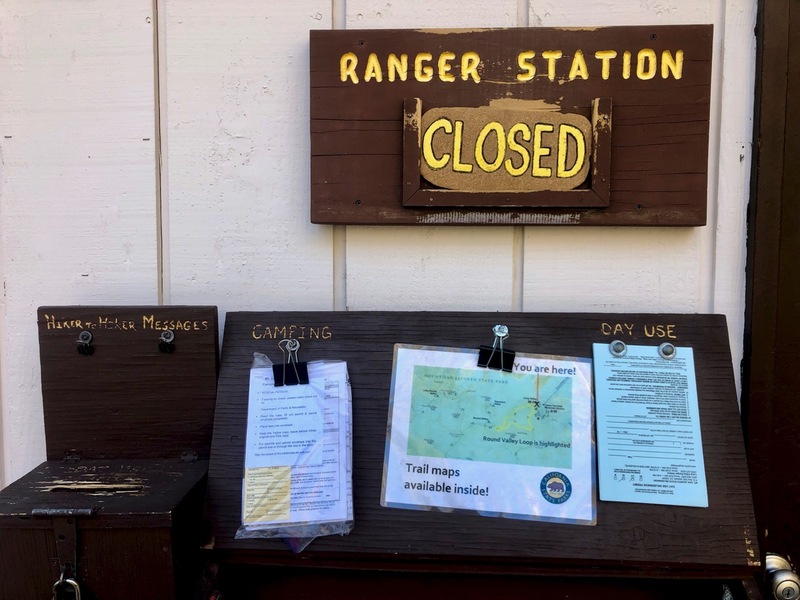 By the time I got to the Ranger Station, however, it was closed. The closest campsite was Round Valley … so I filled out the confusing paperwork as best I could … and hustled off to get there before dark. I love hiking in California. It’s heaven. Whoa. 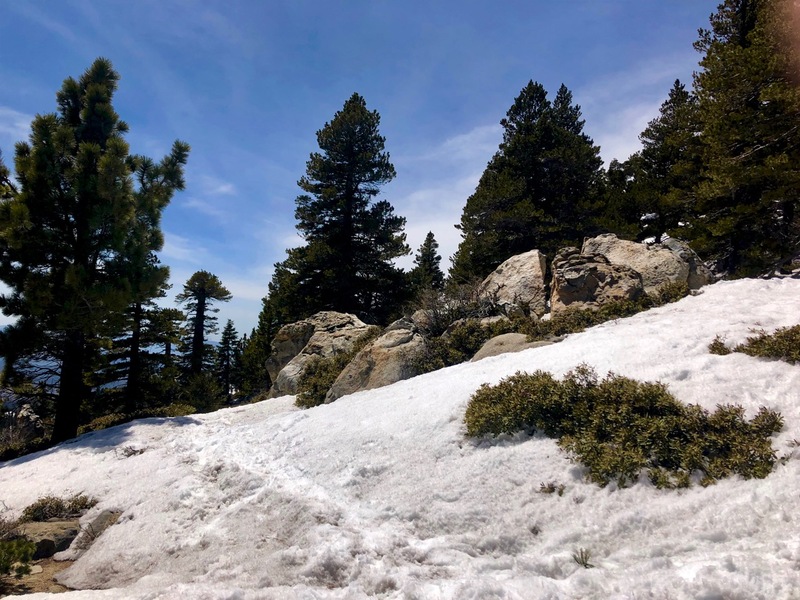 Though it’s 100F down in Palm Springs, there’s still a lot of snow up here on April 11, 2019. 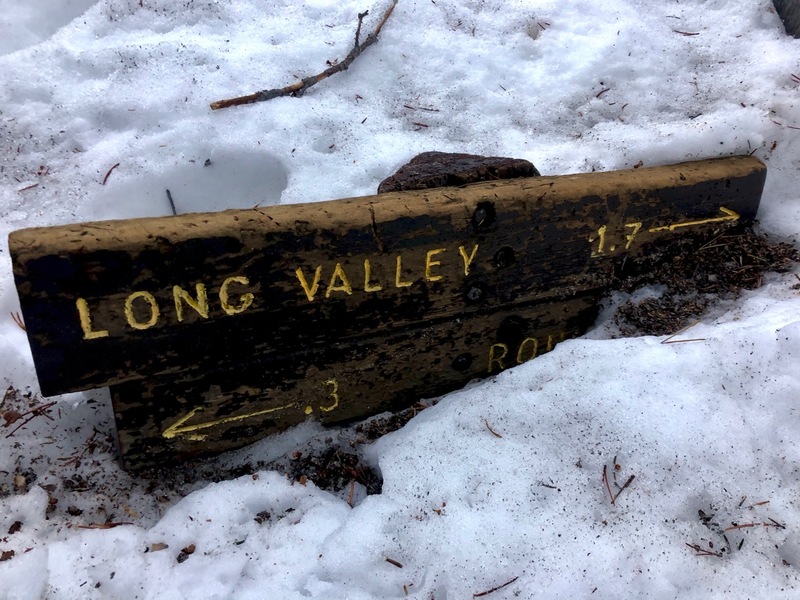 Some of that rustic signage is near buried. I set up the tent at the first clearing I found. Close to the Ranger Station. 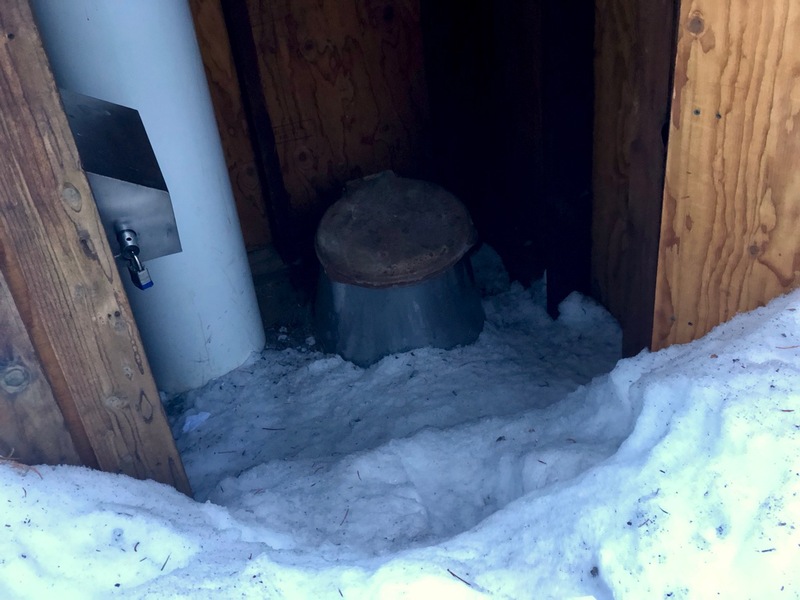 Though I’d not seen any animal tracks aside from squirrel, I put my smellies in an Ursack. Bears are hungry in the Spring. I cooked at 7:30pm. It was quite dark by 8pm. The park is named after two glacier-carved alpine lakes found at it’s northern end — Lake Rotoiti and Lake Rotoroa. These two lakes are tranquil and idyllic, making them great locations for car camping or day walks. 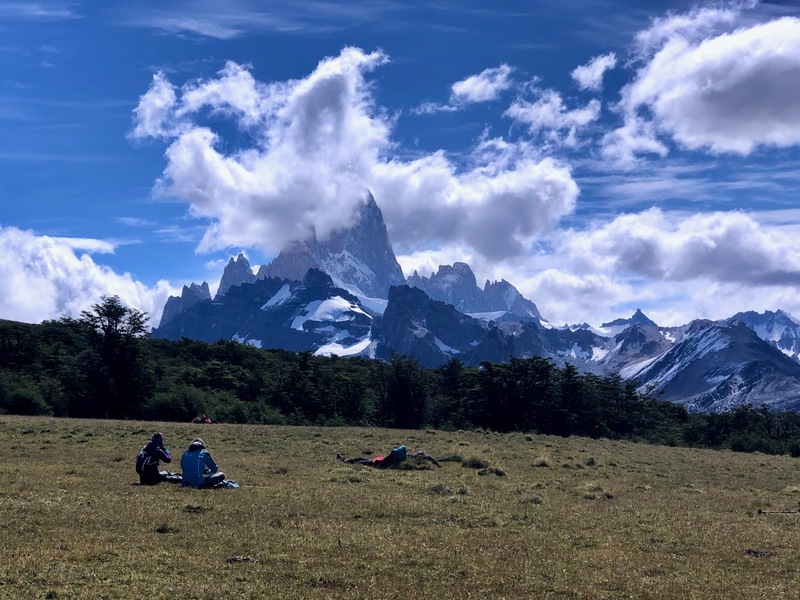 We updated our Fitz Roy information page after our February 2019 visit to El Chaltén. That town is booming. More and more travellers are taking to the many trails directly out of town. jumping off point is the bustling tourist town of El Calafate. Fly or bus via Buenos Aires. From El Calafate you can bus to the trailhead at El Chaltén (“Argentina’s Trekking Capital”). notoriously bad micro-climate. The big peaks are often shrouded in cloud. Click through to our Fitz Roy information page. 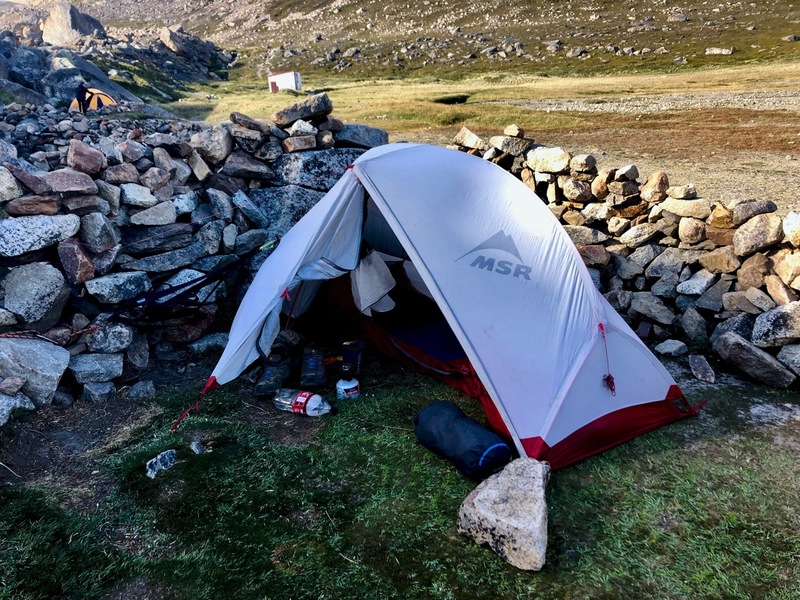 Like me, Joshua Huff made an effort to do every hike he could in southern Patagonia. 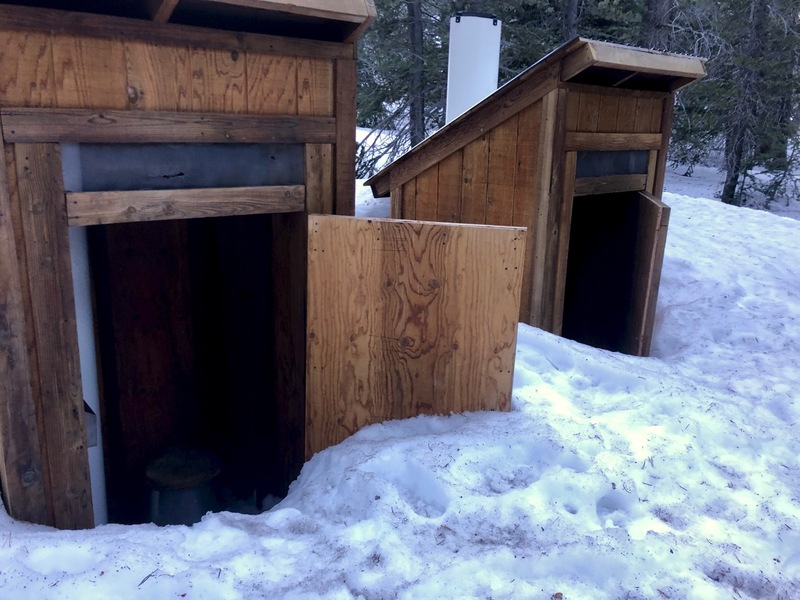 On a detailed post from his 3 months in the area, Joshua details his own experience and links to other trip reports. The Boys of Everest: Chris Bonington and the Tragedy of Climbing’s Greatest Generation (2007) is the full title. Of the famed high altitude climbers I’ve always related most to Bonington. He seemed to be the smart, articulate and careful one. Not so, I learned. There were a dozen times Chris could have / should have died like so many of the others. Though reviews have been mixed, I did enjoy this book. Especially the audio version reader James Adams.